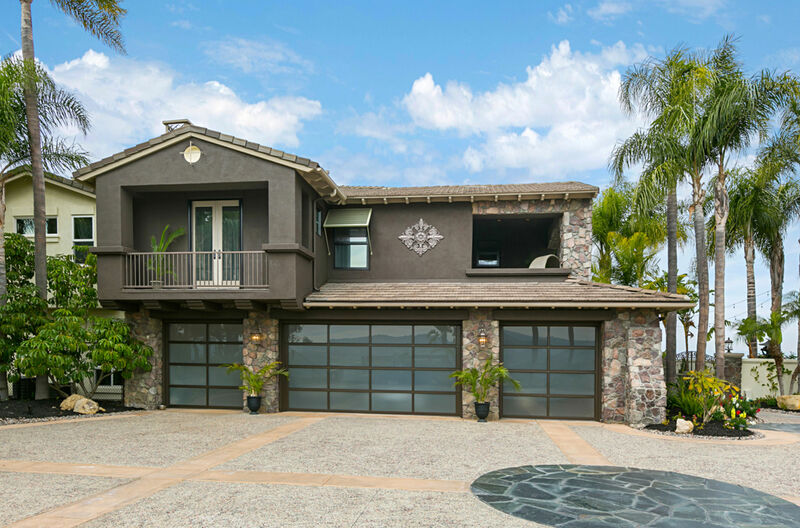 VIEWS, VIEWS and more VIEWS is what this stunning home offers besides it’s incredible interior design & outdoor entertaining spaces! 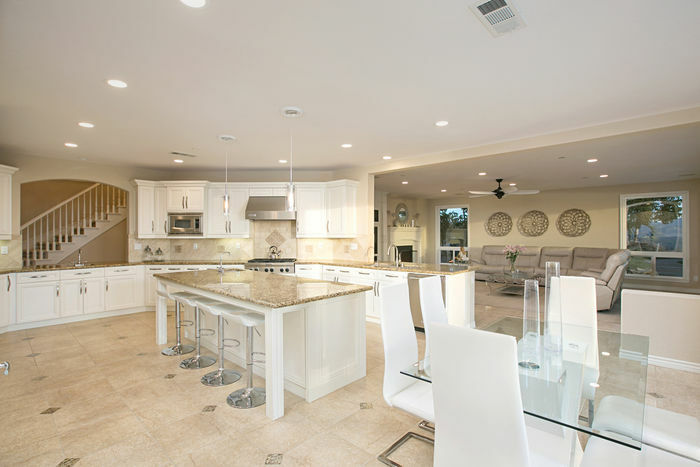 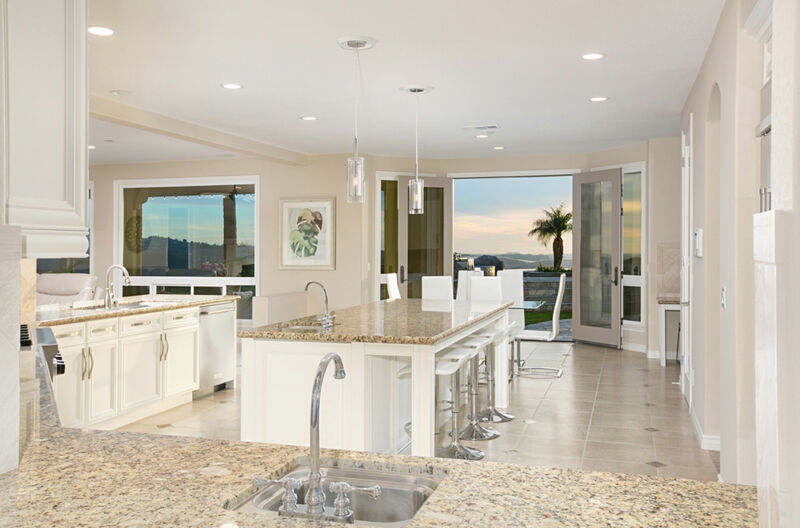 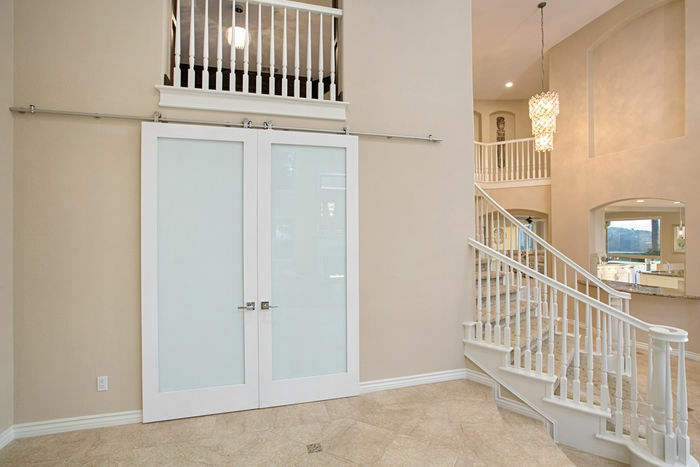 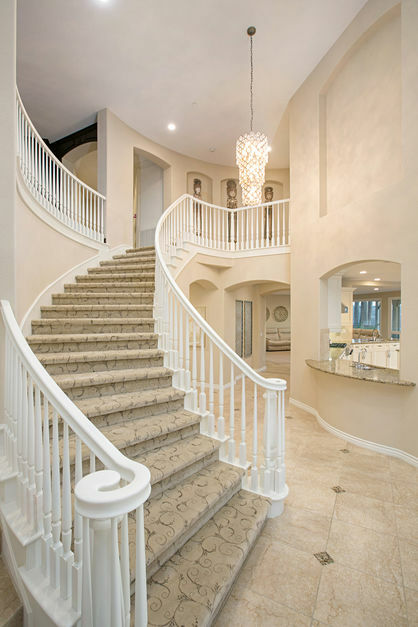 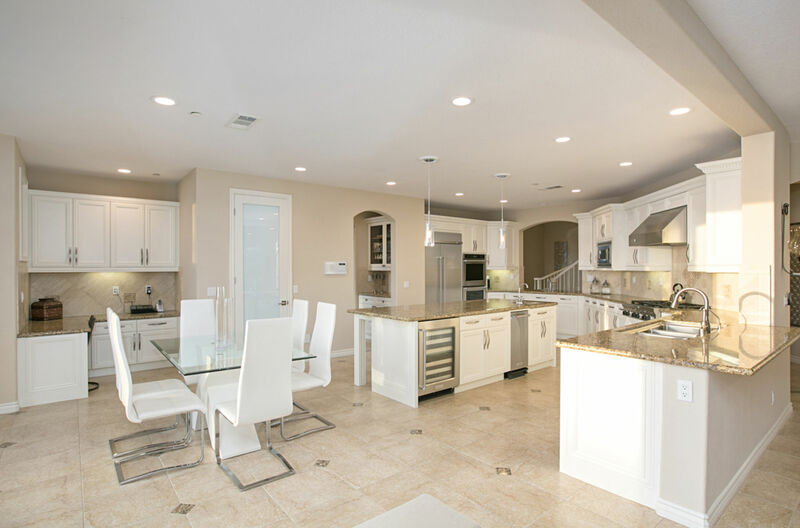 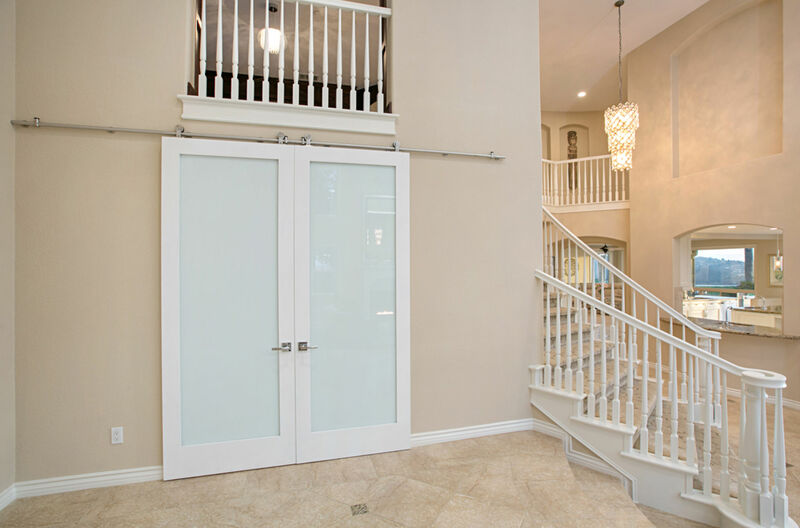 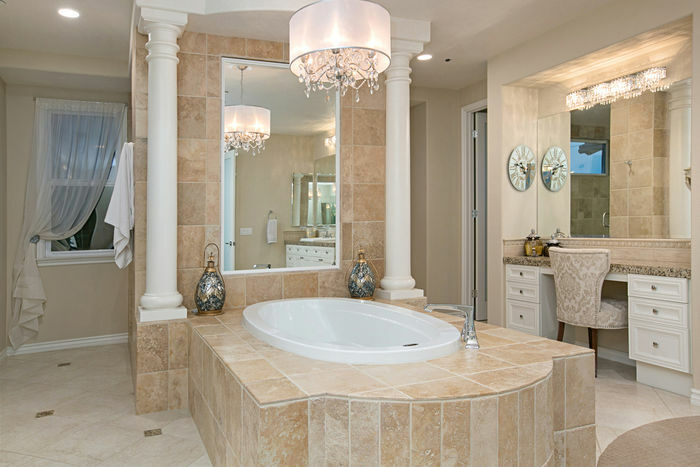 Soaring ceilings & gorgeous lighting fixtures impress you from the moment you enter. 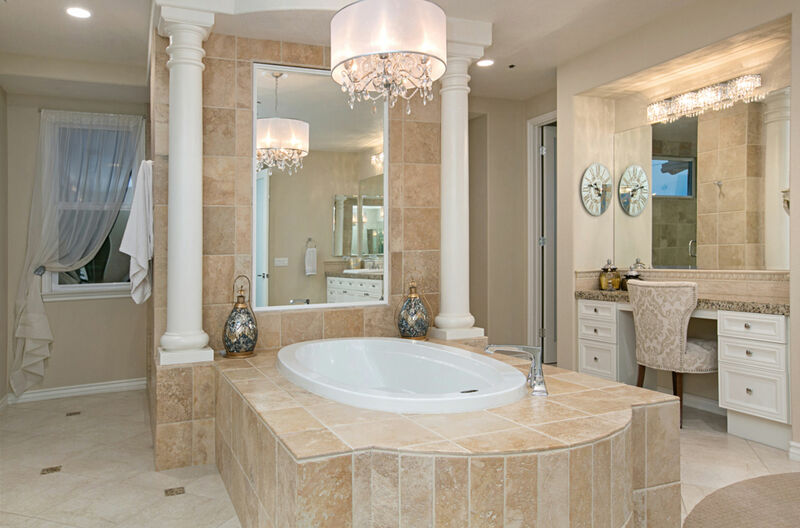 A sophisticated color palette has been incorporated into it’s transformation from dull to WOW! 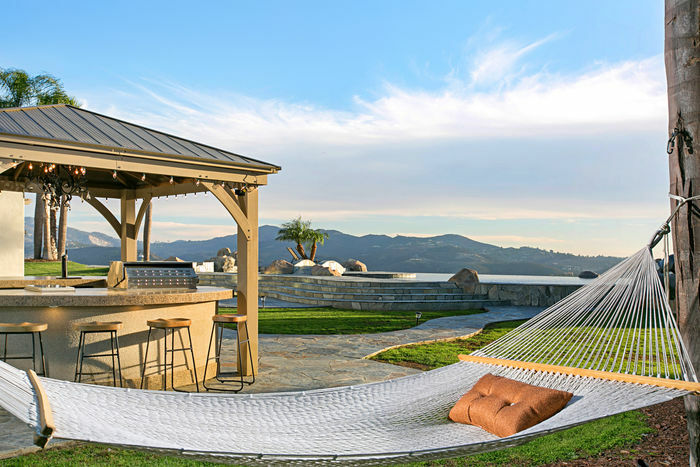 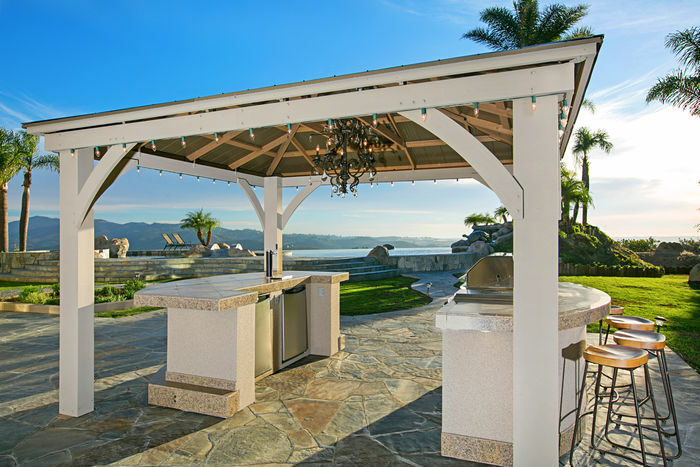 Entertaining large gatherings or just relaxing fireside is easy with a well designed floor plan & incredible backyard featuring one amazing infinity edge pool w/ waterfall & views to the ocean! 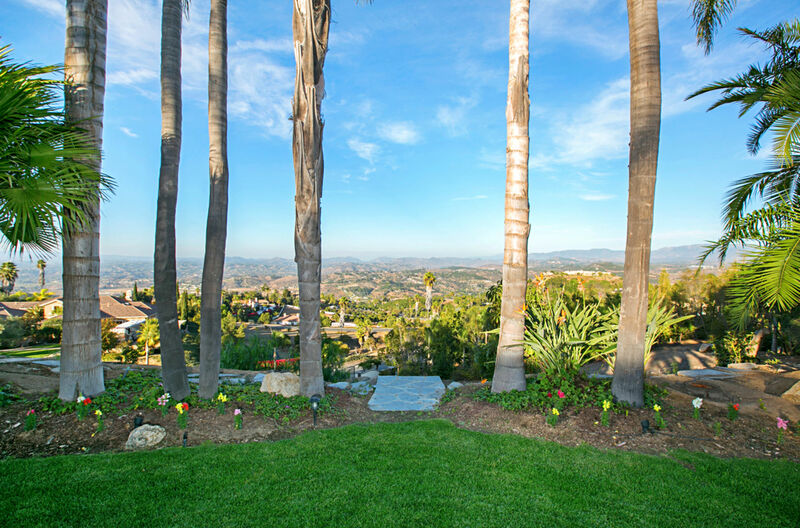 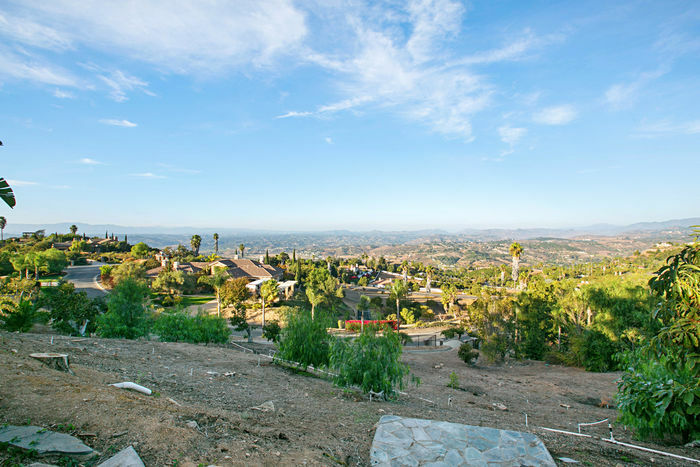 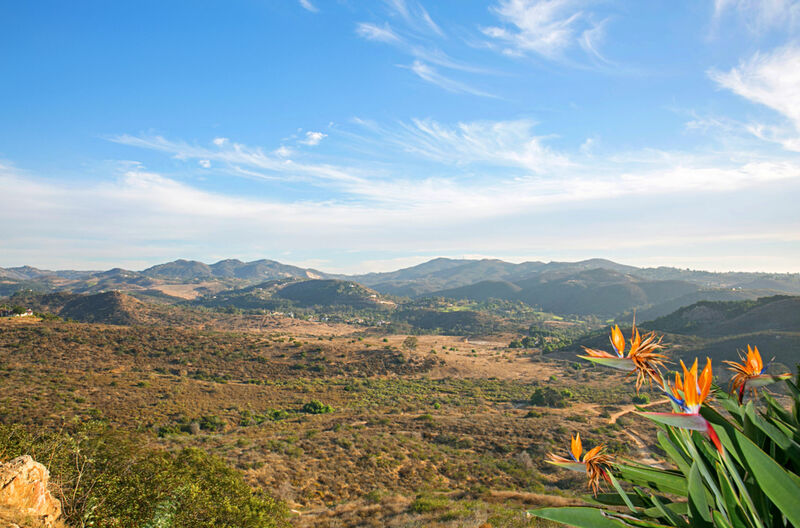 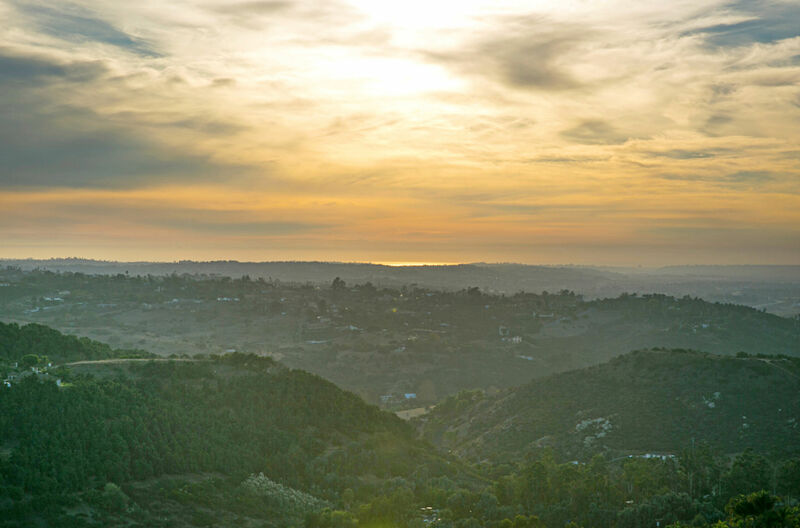 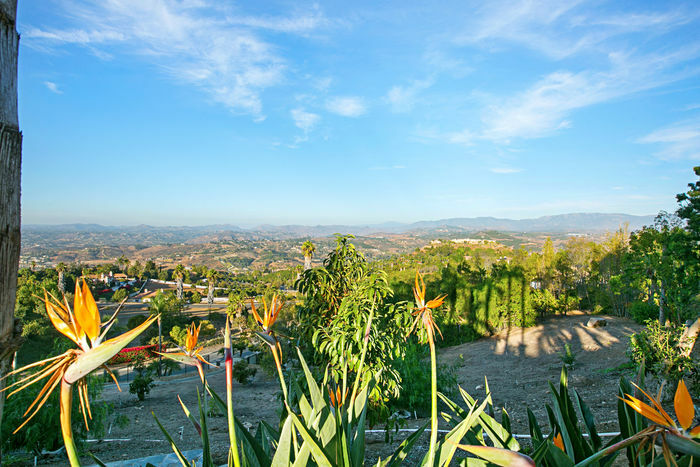 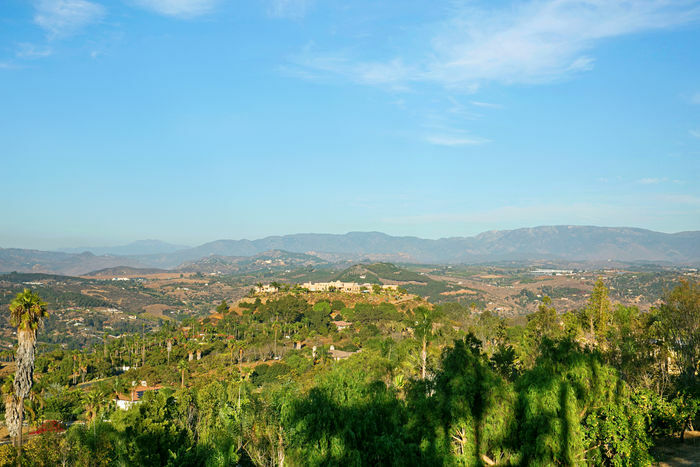 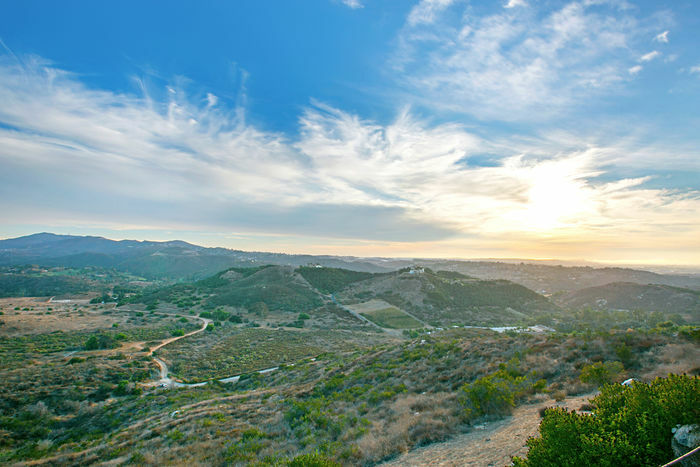 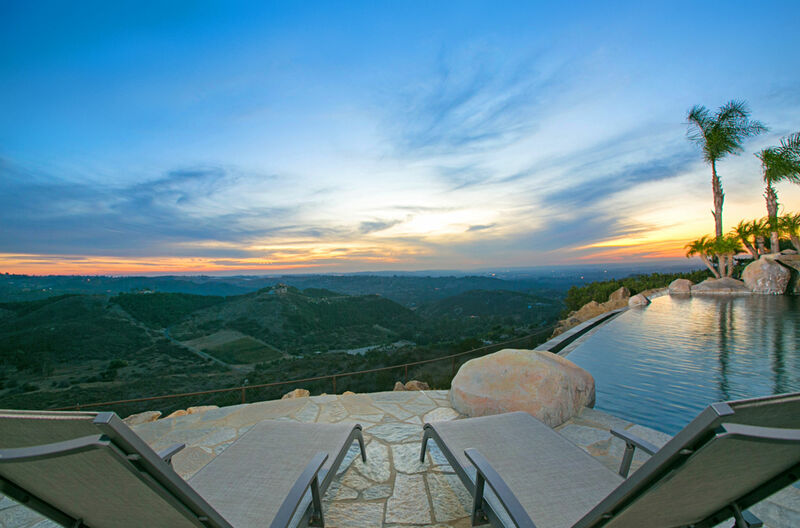 A gated winding driveway leads you to the top of the property and immediately you are in awe of the 360 degree views! 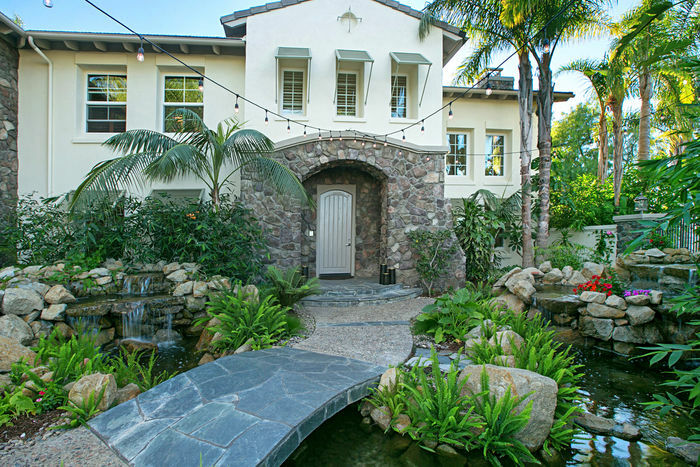 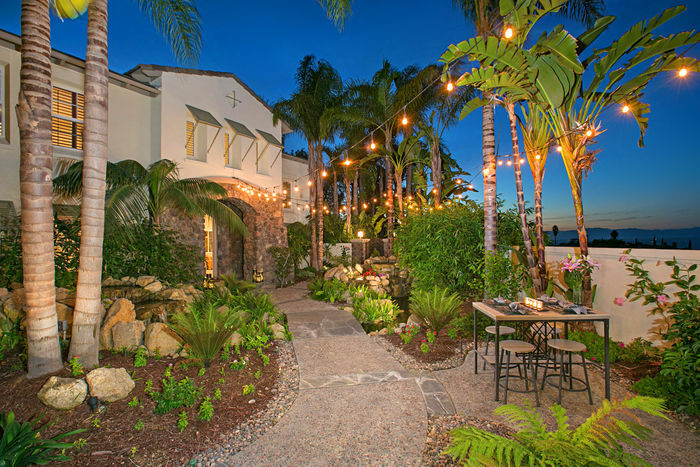 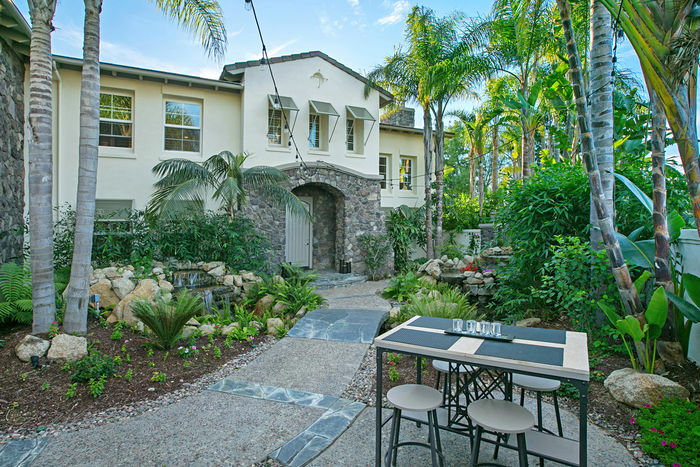 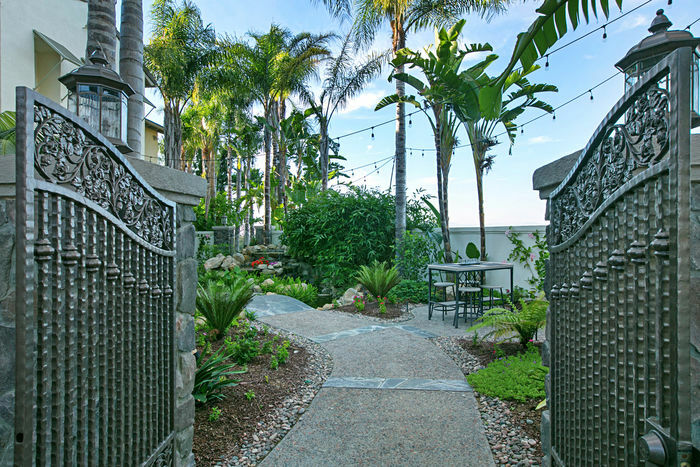 Enter the gates to an enchanting courtyard with water feature and Koi pond. 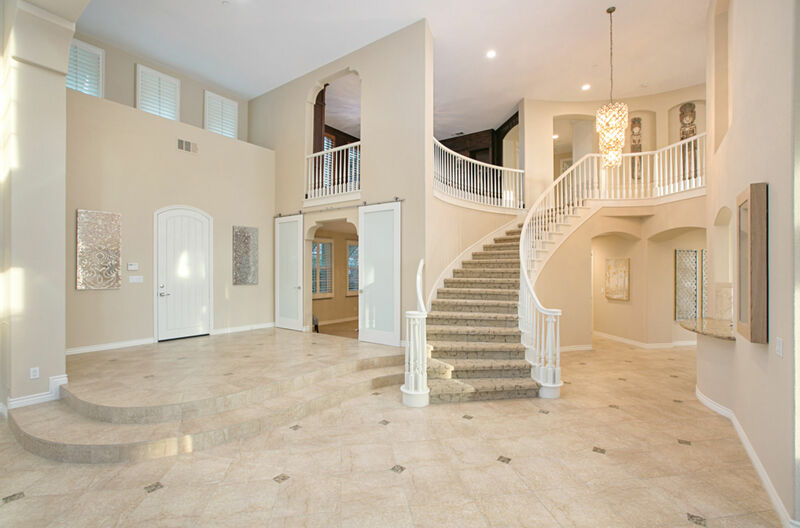 The interior spaces are amazing with a downstairs ensuite bedroom, formal living room with soaring ceilings, spacious dining room with French doors and the amazing center island kitchen open to the adjacent family room featuring a wall of built-ins. 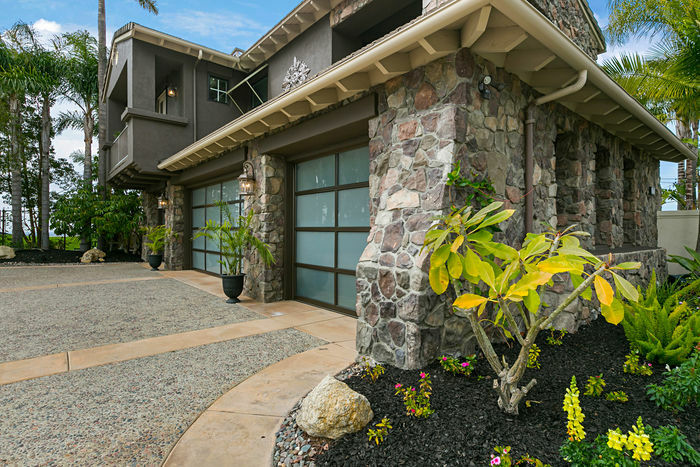 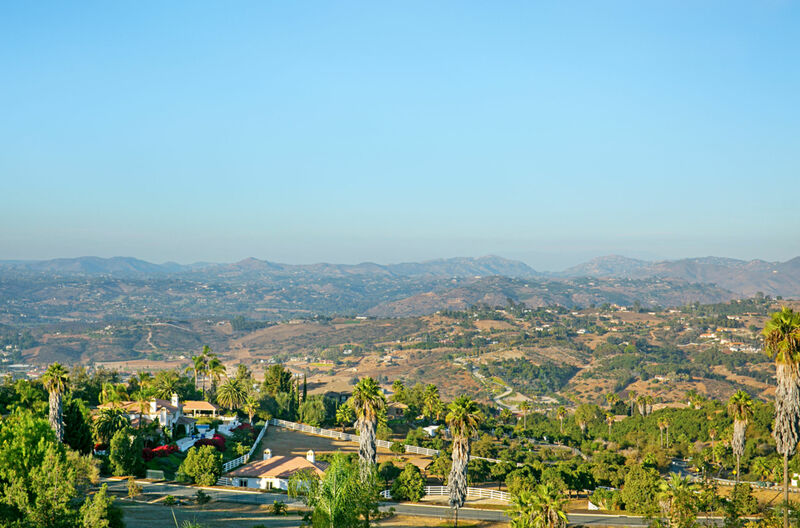 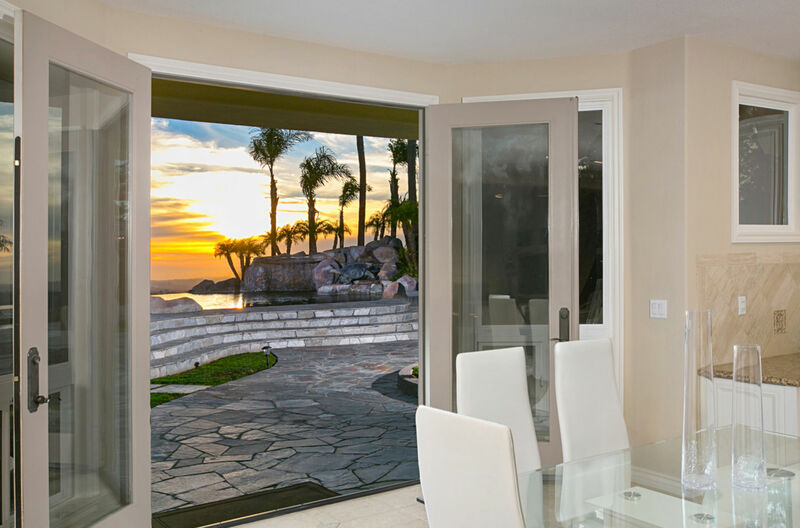 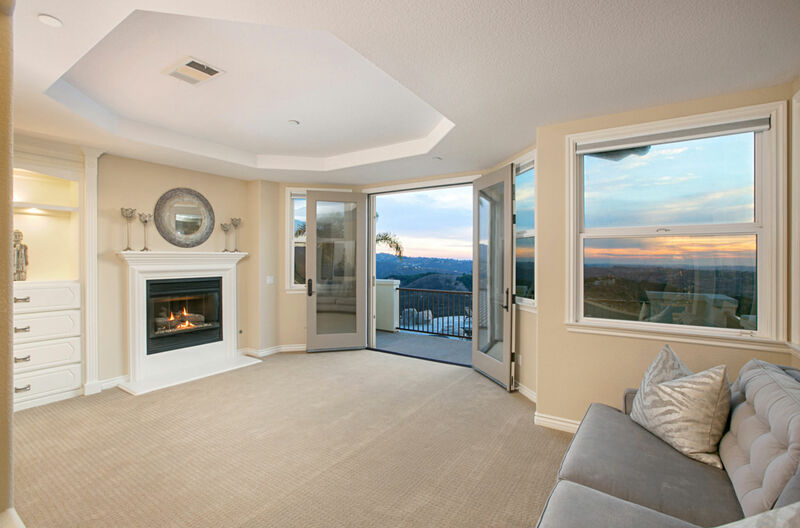 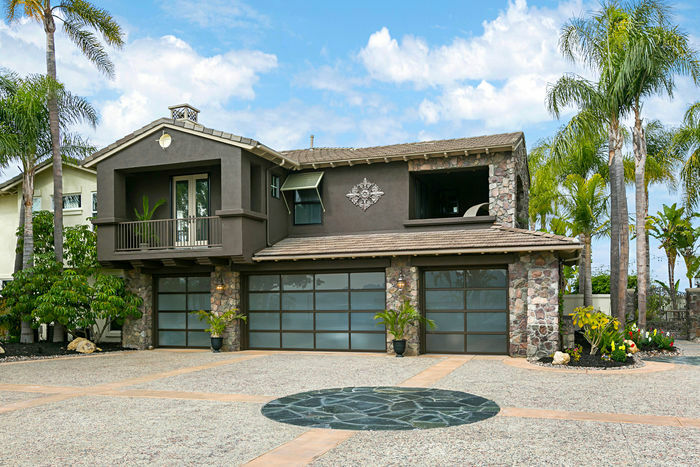 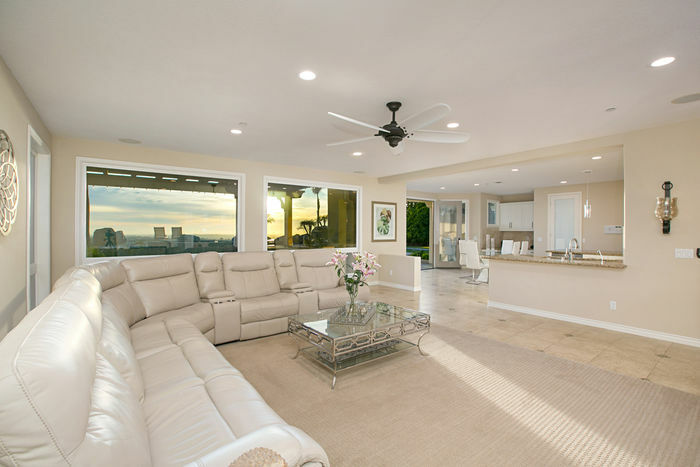 Designer carpeting graces the sweeping staircase up to the executive office and the sophisticated master bedroom showcasing a private balcony overlooking the resort-style backyard and panoramic views of the surrounding hillsides and to the ocean. 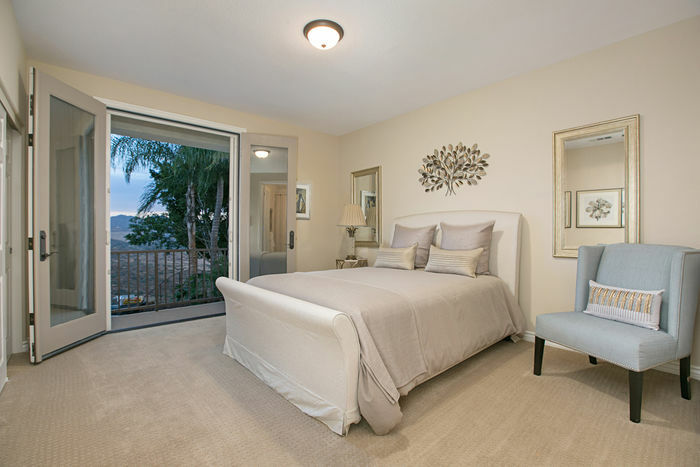 The secondary bedrooms are also spacious in size and each has their own special views to the outdoors as well. 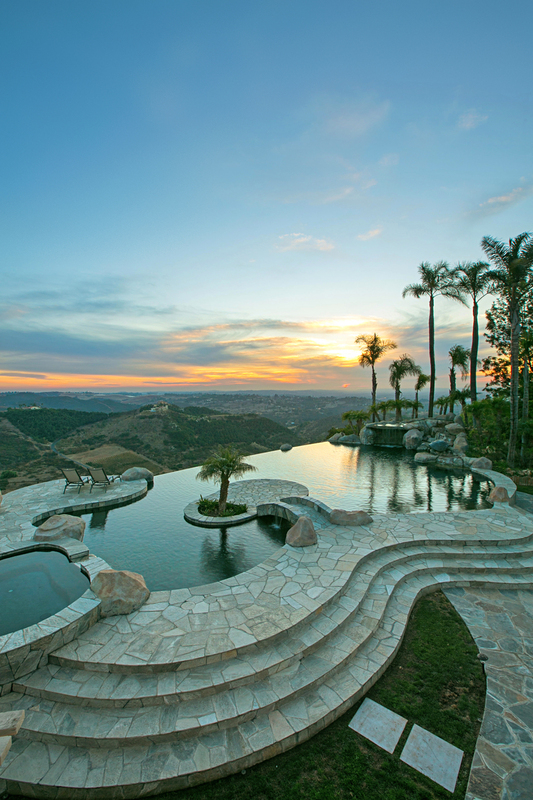 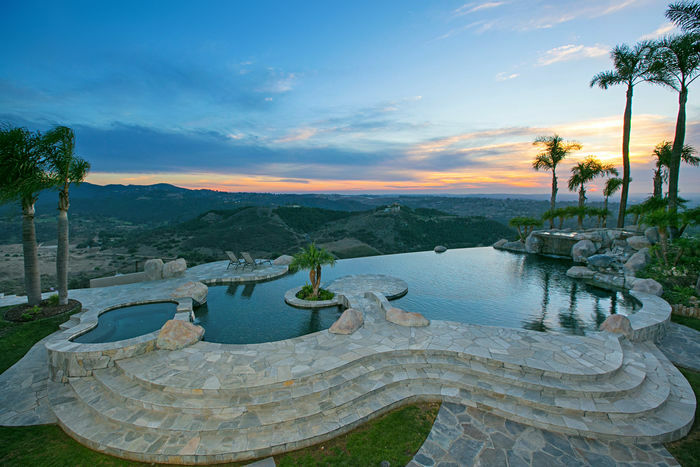 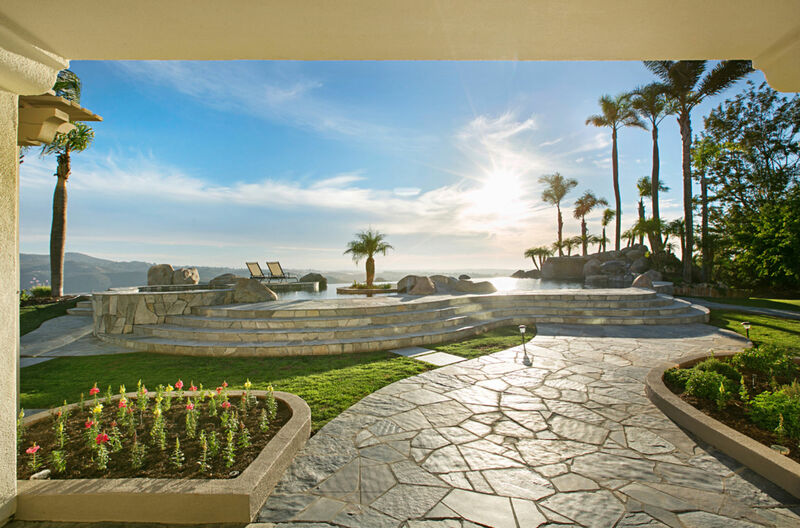 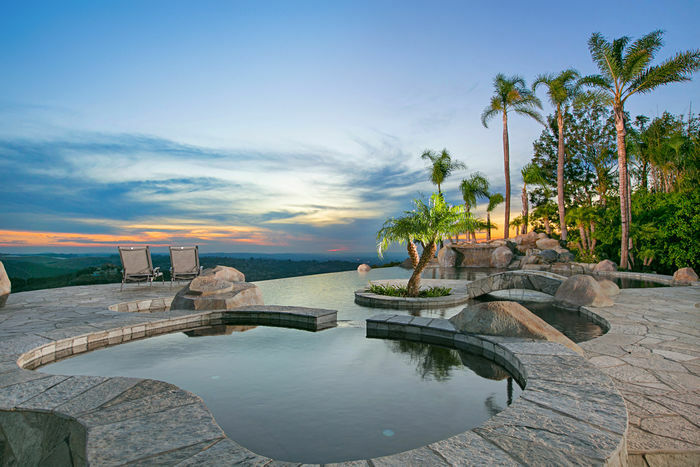 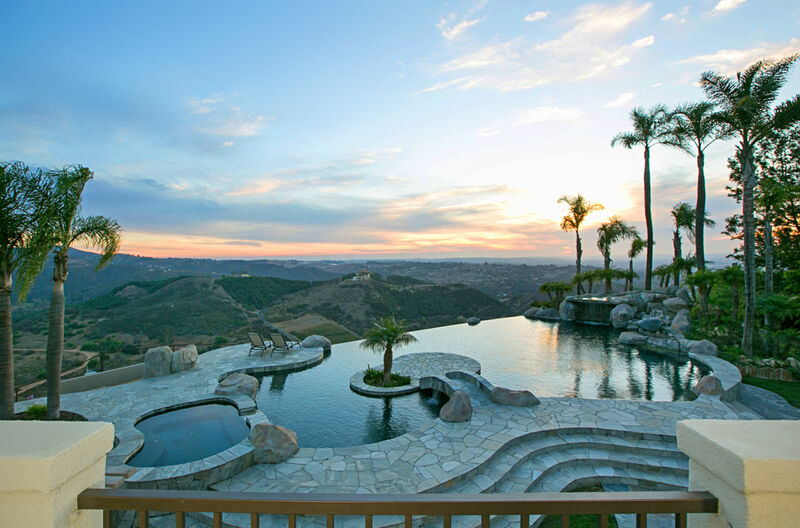 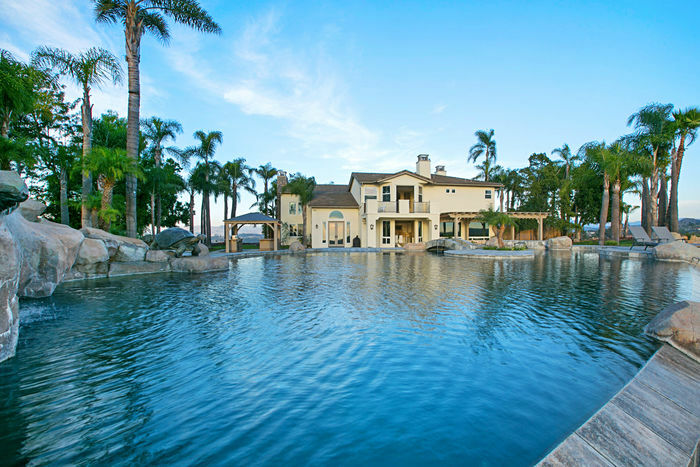 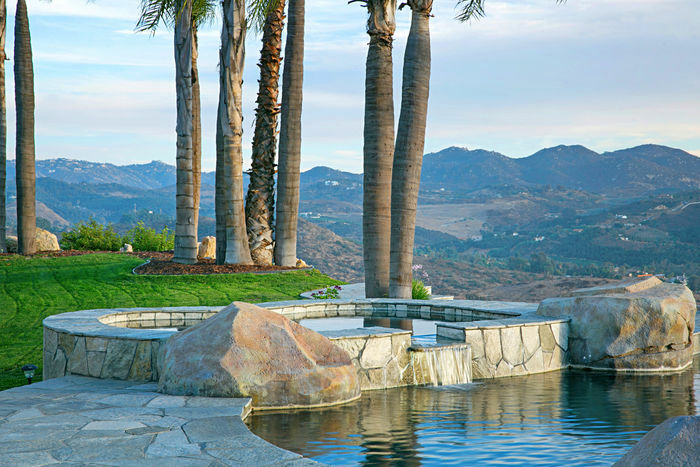 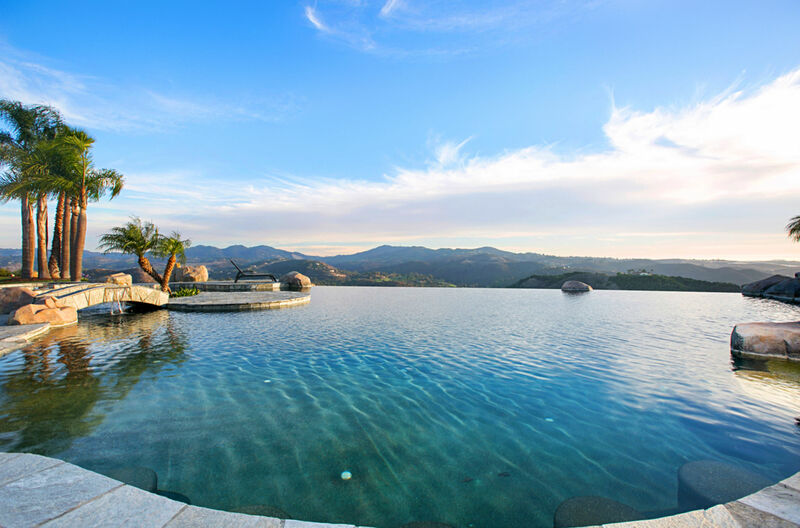 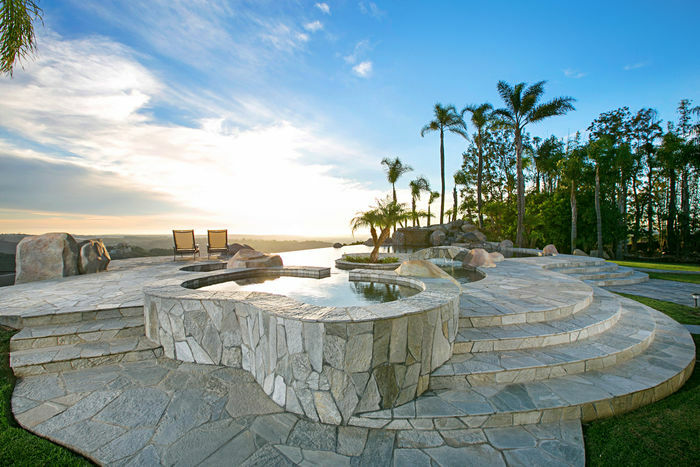 The incredible backyard offers amazing views to the ocean with the custom infinity pool and waterfall in the forefront. 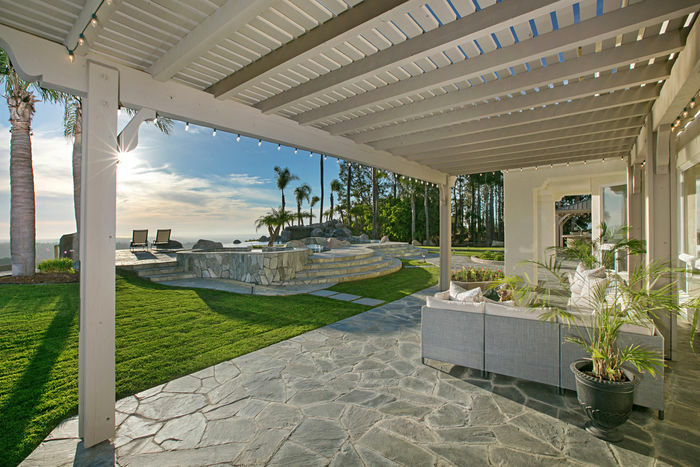 This is the backyard of all backyards! Amazing sunsets can be yours also!